St. Thomas, U.S. Virgin Islands. Some of the 50-plus boats racing on the second day of the 46th St. Thomas International Regatta (STIR), stretched their class leads. Others overtook fellow class competitors to jump into the lead. Either way, blue skies, warm seas and winds blowing steadily at 12 to 15 knots over the round-the-island and round-the-buoy courses proved fun for everyone in this St. Thomas Yacht Club-hosted event,. 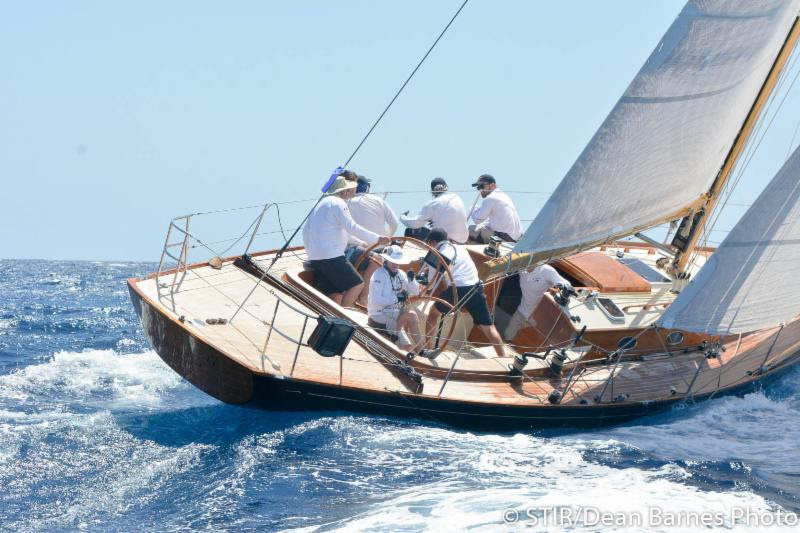 A good example of a lead stretch was St. Thomas’ Peter Corr’s King 40, Blitz, in CSA Spinnaker Racing 1. 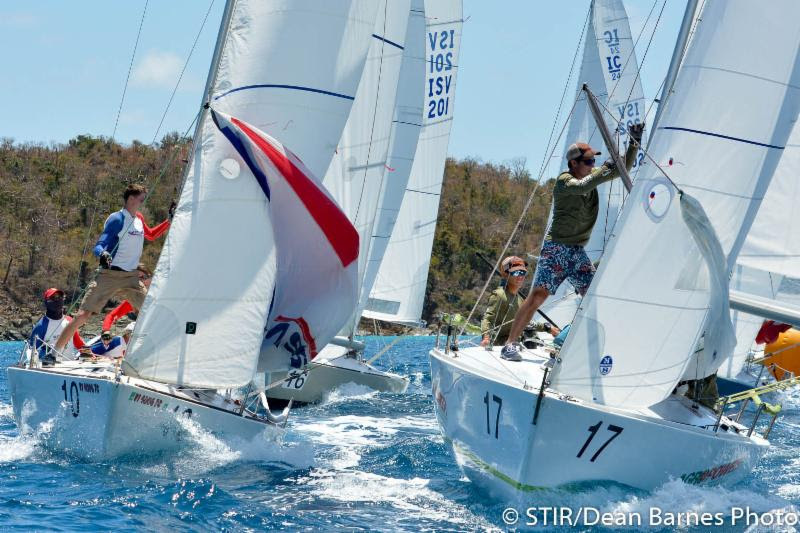 The Blitz team, an international contingent of crew from the USVI, USA, UK and Australia, tied on points after the first day with Antigua’s Pamala Baldwin’s J/122 Liquid. Today, Blitz won the class’s two races thus posting a two-point lead over Liquid. Meanwhile, the USA’s Ron Zarrella’s team aboard his custom-designed, 49-foot, cold-molded racer/cruiser, Blackfish, maintained a middle of the class position. Yet, they enjoyed a winning day in their own way. 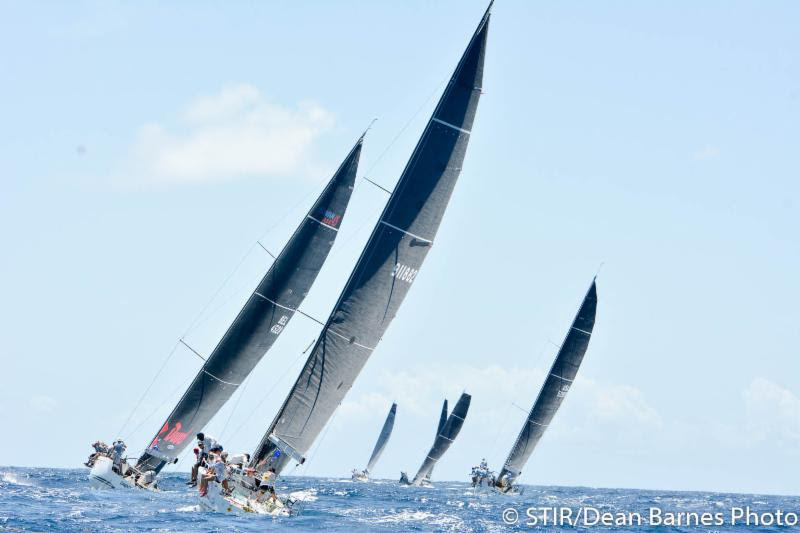 In the CSA Spinnaker Racing 2 class, it was a case of overtaking rather than lead stretching for the St. Croix-based team aboard the J/100, Bad Girl. Bad Girl, with Mackenzie Bryan at the helm, had a tough time on the regattas first race on Friday and needed to retire. The young Crucians, almost all 20-somethings that grew up sailing together in dinghies, came back strong with nothing less than first place finishes. As a result, Bad Girl pushed St. John’s Mike Feierabend’s J/24, Bravissimo, to second. It’s a very close second as both boats are tied at 8-points each. 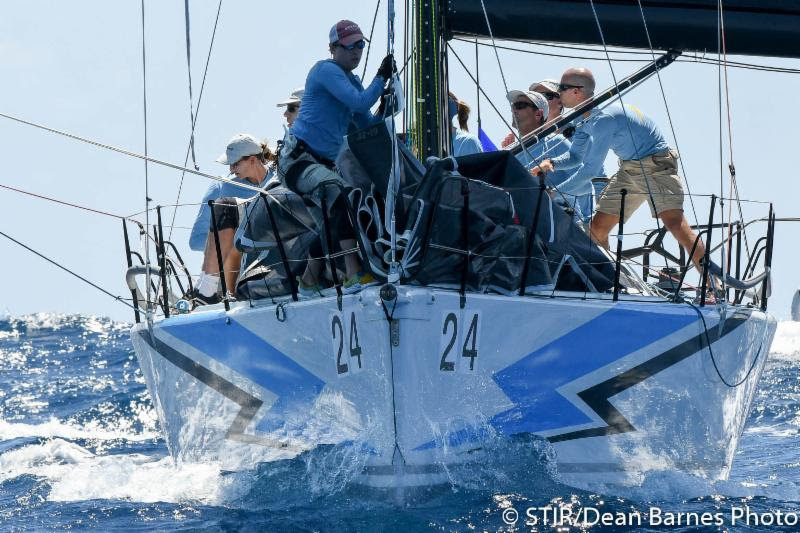 Stretch was the word in the CSA Non-Spinnaker class as the team aboard Canada’s Rob Butler’s Reflex 38 put a five-point spread between themselves and St. Thomas’ Lawrence Aqui’s Dufour 40, Wild T’ing. Wild T’ing is the defending champion in this class, so Sunday’s final day of racing should be highly competitive in this class. “There’s regular sailing and then there’s racing, the two are very different. Racing is much more fast paced and it’s a lot of fun,” says Sonoma crew, Kahlil James. 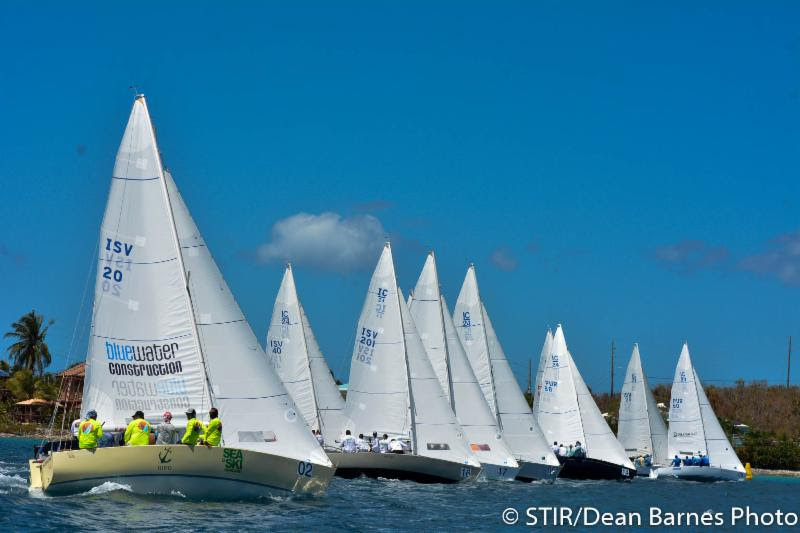 In the IC24 class, Puerto Rican sailors dominated. Ramon Gonzalez and his crew aboard Sembrador didn’t stretch, but they did keep their lead. Closing the gap between first and second place to only four points was Fraito Lugo and his multi-class winning Orion team. St. John’s Dane Tarr continued dominating the Beach Cat class aboard his Nacra 18 Infusion, Family Cruiser. Today was the first day of racing for the 9-boat one-design Hobie Wave class. St. Thomas’ PJ Zani topped the class with first in all but two races. The class features adult sailing as well as a combination of adults and children. One of the latter was St. Croix’s Tom Ainger, who traded off the helm with his 9-year-old son, Ian. “In the morning, the class was spread apart. Then, we all started to bunch up and the class got more competitive. Probably more competitive than we’d like,” joked Ainger.